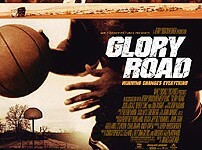 "Glory Road," from Walt Disney Pictures and Jerry Bruckheimer Films, is based on the inspiring true story of the underdog Texas Western basketball team whose drive to win superceded some of the most bruising and difficult challenges during a point in U.S. history of massive cultural and philosophical turmoil. It was a time when, against all odds, the first all African American starting lineup of players took the country by storm and, in a surprise turn of events, won the 1966 NCAA tournament title. 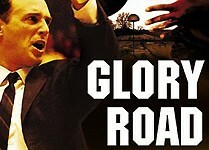 Josh Lucas stars as Hall of Famer Don Haskins, the passionately dedicated college basketball coach that changed the history of basketball and, in turn, helped change the course of history. The film is directed by James Gartner, written by Christopher Cleveland & Bettina Gilois.